As a singer/songwriter he says “lately I feel more like a songwriter than a singer”. 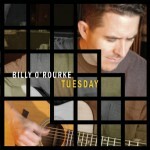 He’s got 2 independent releases (Honky Tonk Ballet, Tuesday), and several Texas/indie artists record his songs. A few are Lantana, The Pear Ratz, and his friends David Lee Garza Y Los Musicales. He has played at various bars, restaurants, outdoor patios, living rooms and arts and crafts fairs….all for the music. 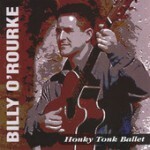 He has picked up an award here and there: 2005 Tejano Crossover Single of the Year (Who’s That Gringo?) B.W. Stevenson Songwriting Competition Runner Up (Poor David’s Pub in Dallas, Texas)..